I want to share with you an email I received from a concerned friend followed by my response to her query. 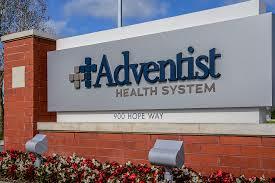 Do you have hard facts about SDA hospitals performing abortions? I would love to see them. By the way, if you want to be heard, you may have to post your interactions and efforts on social media sites because the choir apparently could care less. I understand that some women may have no other recourse but to terminate their pregnancies. However, the thought of doctors at religious hospitals performing abortions is incredible. Nic, you may have to change your strategies and include the general public in this absurdity by sharing facts about this matter with millions of people on social media sites. Thanks for your suggestions. There is no lack of pro-life activity on the social media. There are hundreds of web sites targeting the general public with this issue, and I don’t need to compete with them. My goal is to reach the Adventist membership. In the last two decades, I succeeded in getting two articles published by Adventists publishers: one by Adventist Today and the other by Advindicate. The Adventist Review accepted one of my articles for publication and paid me $ 50 for it; that was about a decade ago, and I am still waiting for them to publish it! You may also read several articles published by The Washington Post. BTW, I have three web sites on Facebook, and I am participating in other social Adventist venues. Off and on I have been very active on The Adventist Club, The Adventist Today, and the Spectrum blogs, but they want me to keep my mouth shut. You may be aware of this: Ellen White warned Adventists that we were in danger of becoming “a sister to Babylon.” She said this a century ago when the Adventist was still pro-life. Can you imagine what she would say today knowing that we have been offering abortions on demand since 1970? In one Adventist hospital room a fortune is spent to save the life of one baby, and in another babies are routinely killed to protect the lifestyle of the mother of the unborn baby. The wife of a well known Adventist leader and author of many books told me that, when she was the secretary of a LLUMC physician, the doctor was performing abortion from morning till evening. Sorry to share with you these bad news, but I am praying for a revival and reformation regarding the respect for human life. Are you sure about this being done at LLUMC? I know for a fact that this does not occur there unless things have changed in the past 5 years. The lady is probably my age or older. I did not ask her when this took place. Nevertheless, Loma Linda University is listed among a group of Adventist hospitals that were offering abortion services about two decades ago. I hope she responds positively! She thanked me by email for the information! Adventists build church at horse racing track honoring notorious abortionist. Unbelievable!